Soldering (AmE: /ˈsɒdərɪŋ/, BrE: /ˈsɒldərɪŋ/), is a process in which two or more items (usually metal) are joined together by melting and putting a filler metal (solder) into the joint, the filler metal having a lower melting point than the adjoining metal. Soldering differs from welding in that soldering does not involve melting the work pieces. In brazing, the filler metal melts at a higher temperature, but the work piece metal does not melt. 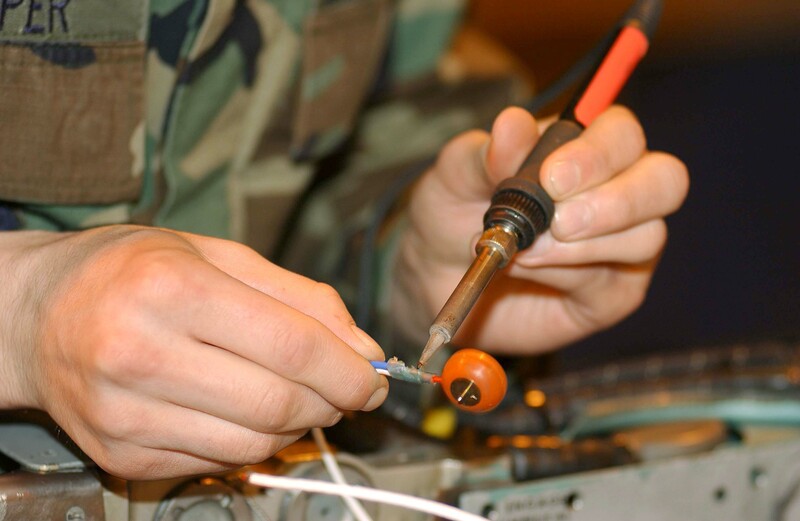 In the past, nearly all solders contained lead, but environmental and health concerns have increasingly dictated use of lead-free alloys for electronics and plumbing purposes.